Tobago is arguably one of the best kept secrets in the Caribbean and if you're looking to explore an island that's flanked by fertile volcanic landscapes and fabulous white sand beaches then this is where you start to discover just what makes Tobago stand out from the rest. Colonial heritage, traditional festivals and an unrivalled range of culinary dishes, influenced just as much by the spice of India as the soul of South America, Tobago is a refreshing and unpretentious glimpse at what things used to be like back in the day. So, if you're not into raving all night and overdeveloped beaches, come and check out Tobago for yourself and discover what it means to be laid back, relaxed and satisfied, just as nature intended. Situated just to the northeast of South America, Tobago is one of those places that everyone's heard of but not many people have actually seen for themselves. As a dual island nation, Tobago is by far in a way the smaller when compared to Trinidad, and if you're looking for the more laid back and charming of the pair, stick to Tobago and you won't go far wrong. 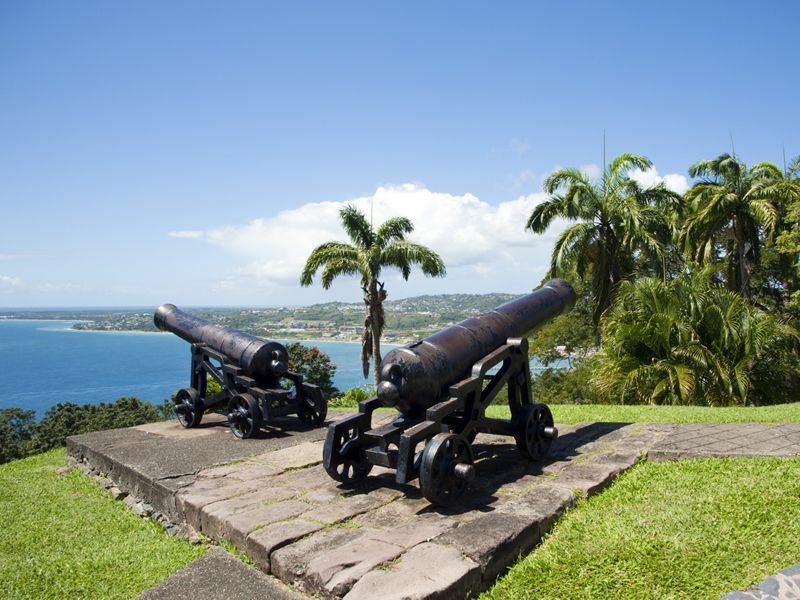 Aside from beach time on Tobago the island promises a pirate's plunder of cultural heritage and plantation history with several fortifications, museums and heritage parks presenting a wealth of things to do, in addition to days spent marvelling at the magnificent coastline. Rum, sugar and cocoa have all played large parts in Tobago's attraction and economy with the island's name thought to have come from 'Tobacco' which was also big business, alongside cotton, back in the bad old days of colonies and slavery. These days it's birdwatching, sunshine and that constant calypso and steel pan sound that keeps travellers coming back for more with a nine hour flight from Gatwick Airport to Crown Point International Airport placing you right at the heart of the action courtesy of BA, Virgin and Monarch airlines. Hotel transfers from Tobago airport take no time at all and you'd expect to be delivered to your front door in around 30 minutes, or about an hour if you've opted to head to the north of the island and the stunning Blue Waters Inn. Thanks to the absence of visa requirements for UK passport holders, and English being the island's language of choice, a visit to Tobago is just about as straightforward as you're going to find in the Caribbean with self-drive options giving you the freedom of the island, which is just over 25 miles in length and criss-crossed with well-surfaced roads and highways. For more information about discovering the laid back and authentic ambience of the Caribbean, check out the rest of this guide to Tobago and don't forget to take things easy no matter what time you're heading over. As Tobago falls just outside of the Caribbean's notorious hurricane belt you can rest assured that your hat will stay firmly placed upon your head to protect your 'new do' from the rain and sunshine. Basically, the weather in Tobago is turned upside down from the northern hemisphere with July through to November promising a welcome rain shower, usually in the afternoon, whereas the rest of the year is a lot drier. Temperatures tend to stay at around the 30C mark with March, April and May considered the best time to go to Tobago thanks to dry weather, solid sunshine and the start of the season for turtles to hatch. 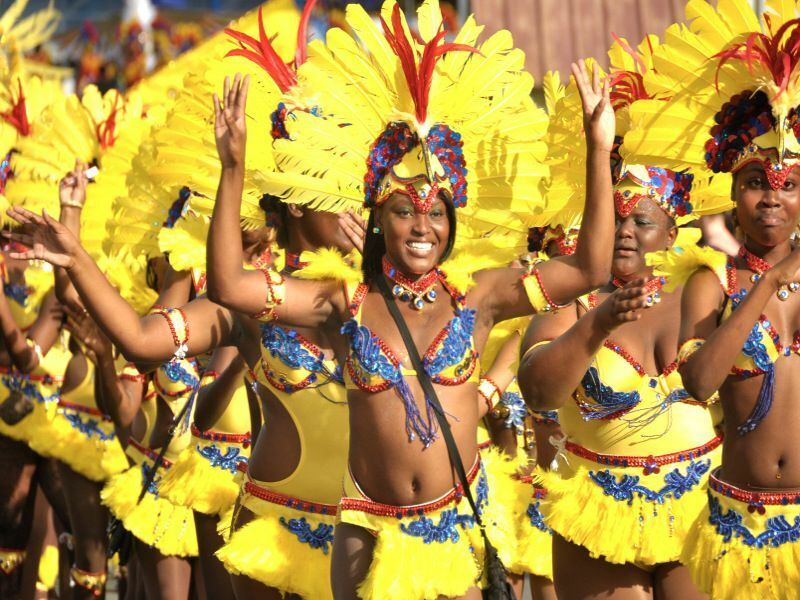 Festivals in Tobago are what the island does best and timing your visit to coincide with the Feb/March carnival, the Easter goat race or the April jazz festival is an excellent idea for capturing the mood and spirit of the Caribbean without the tourist tack. The sailing event during the middle of May is another colourful example of Tobago's love of partying although the heritage event from July and into August presents a much more traditional ambience as local people remember the threads back to Africa with art, dance and musical appreciation, culminating in a week long beach party at Crown Point aka: The Great Fête Weekend. The last day in August and the 24th September are also worth putting in your diary as these are national holidays in Tobago to celebrate independence from the British oligarchs and the national pride of being a Caribbean Republic. Getting out and about in order to discover the natural world of Tobago presents untold opportunities to really unearth an authentic side to the Caribbean that many casual tourists fail to reach. 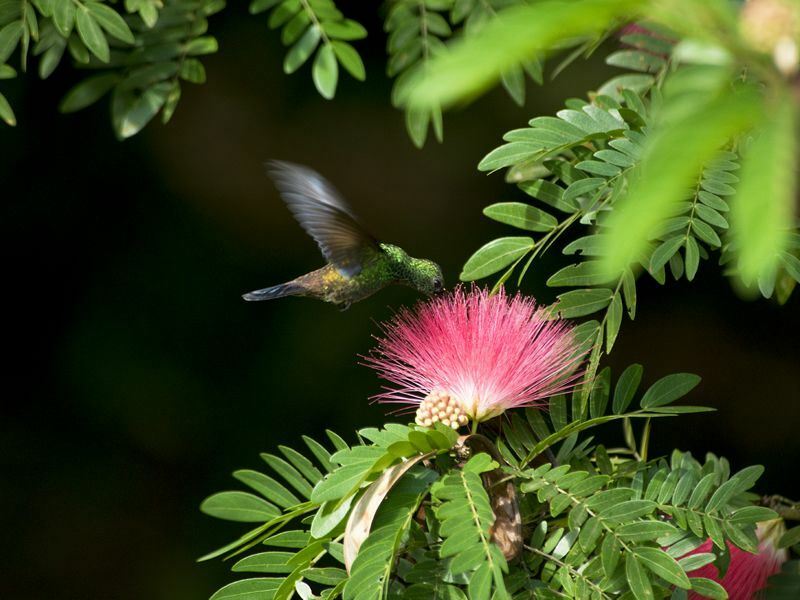 The natural split from big brother Trinidad left Tobago alone to develop its own unique biodiversity and it's this enchanted world of rainforests and unadulterated coastline that many believe to be the island's most treasured asset. Buccoo Swamp, the Arnos Vale Nature Reserve, the Main Ridge Forest Reserve and the Grafton Caledonia Bird Sanctuary are just a few of the island's protected areas for birdwatching and nature walks, with the banks of the Orinoco River supplementing a super rich and biodiverse habitat, including one of the highest proportions of birds per sqm on the planet. Once you've had your fill of Tobago's abundant wildlife reserves and cultural heritage sites then it's time to get down to dining. The country's cultural make up has indeed added to its culinary expertise with a fusion of Indian spice, fresh fish and Caribbean soul adding to the waft of salty sea air coming in off the warm waves. Phoulourie (chick pea fritters) and pelau (like a biryani) are both local favourites and highly recommended for an authentic Caribbean taste, with the south of Tobago boasting the lion's share of the restaurants although discovering an out of the way café or street food stall off the beaten track is sometimes a much more tasty treat for all the senses. As mentioned, rum is big business in the Caribbean, and Tobago is absolutely no exception so expect to sup up a few cocktails or taste a local drop just to get your singing voice sounding honey sweet. Local beers are ideal for sundowners with Craib and Stag best enjoyed after dark, although drinking in public places is perfectly acceptable in Tobago so when in Rome, and all that. The nocturnal scene, in comparison to big brother Trinidad, is mellow and traditional with pubs, inns and steel pan parties, such as the awesome Sunday School at Buccoo, offering the best ways to sway in time to the rhythm of the Caribbean as you bump and move with the local Tobago twisters and let your hair down as the sun begins to set. Ok, it's impossible to put off any longer. 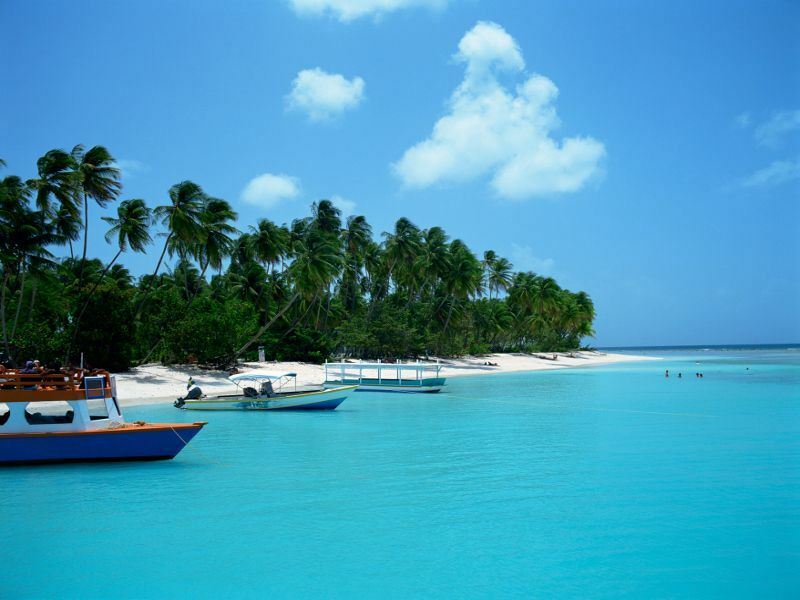 Tobago is all about the beach with snow white sands, clear blue waters and vibrant palm fronds making up some of those 'oh so important' tropical screen saver scenes. The sheltered west coast of the island features the likes of Englishman's Bay, Castara Bay, Pirates' Bay and Man O' War Bay, with some great snorkelling to be had in amongst secret coves and calm waters. Batteaux Bay, on the northeast coast, features some superb coral and although it can be a bit of stretch to reach, the views are well worth the extra effort. In general, the southern beaches, such as: Pigeon Point, Crown Point and Buccoo Bay, are a lot busier than the rest of the island and you might also find a small entrance fee needs to be paid prior to gaining access to piers, snack bars and sun loungers for hire. As with everything in the Caribbean, it's up to you to get out there and explore, and if you're looking for a truly authentic experience then get chatting to some locals or just explore the coast by bike or by car and you'll soon discover the perfect patch of sand to suit you and your travelling companions. What's in store, off shore? 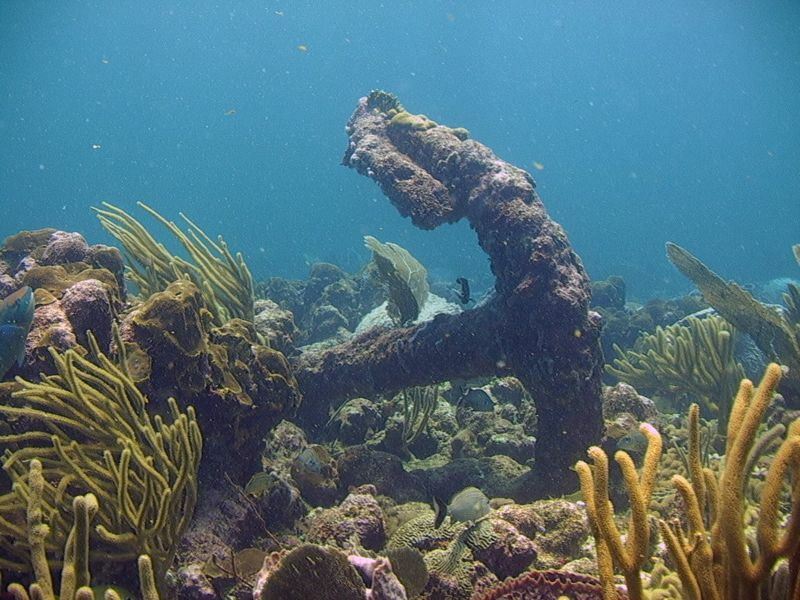 As you'd expect, scuba diving in Tobago is a massive draw as thanks to the nutrients drawn from the Orinoco River and the collision of southern Atlantic and Caribbean, the underwater world that you'll find off Tobago's beaches is simply mesmerising. Speyside is the island's main port of call for divers with major sites, such as: Angel Reef, Black Jack Hole and the Japanese Gardens all to be found just offshore. London Bridge, Shark Banks and Sisters' Rocks are a further three dive sites to check out if you're in the know with marine life, including: leatherback turtles, green morays, parrotfish and hammerhead sharks all to be found under the warm waves. Although diving is definitely the best way to make the most of Tobago's underwater world, it's still possible to snorkel or take out a glass bottomed boat if you don't have the time or the inclination to do a PADI course. Just remember to pay close attention to beach signs and local advice when entering the water. Rips and currents, especially on the west coast, can be fierce so watch out for areas with big waves or where rivers enter the ocean as these can be hazardous, especially for young or weak swimmers. 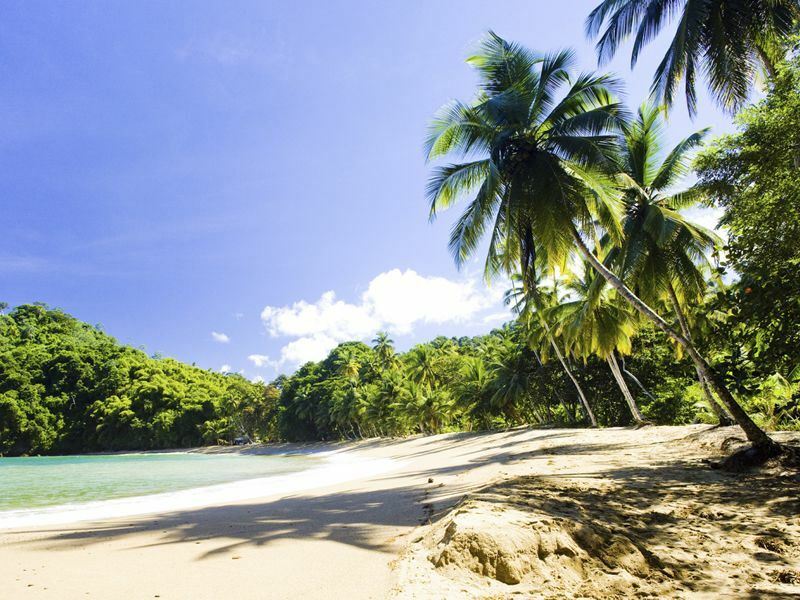 British Airways’ brilliant World Traveller economy class is perfect for a comfortable and care-free flight to Tobago. Taking just under 11 hours, your flight can be spent tucking into delicious complimentary food and drink, or enjoying the hundreds of hours’ worth of films and TV shows on the inflight entertainment. With ergonomically designed chairs, lots of space, and fantastic crew staff, you’ll arrive in Tobago feeling refreshed and ready to start your holiday. Tobago is everything that you could hope for from an authentic Caribbean holiday: a charming and characterful vibe with plenty of cultural sites, gorgeous beaches and tempting traditional dishes to keep you happy and smiling all summer long.